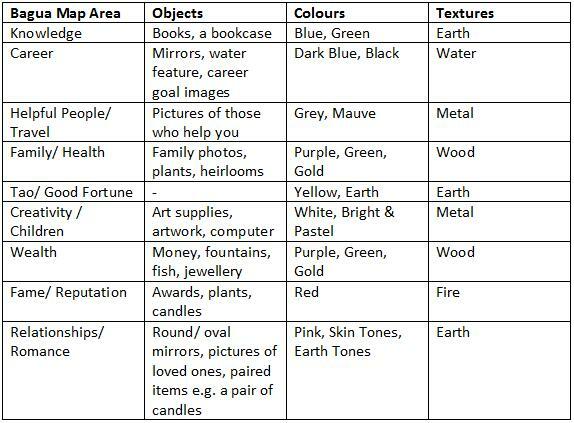 Feng Shui is a common interior design concept that almost everyone has a pre-conceived perception of before exploring the literature supporting its theory. Most would put it on par with Horoscopes and the like. Truth is, whether or not you believe in the spiritual side of it, the interior arrangements suggested in its practices make very good sense. This article will look at the power of wooden bedroom furniture according to Feng Shui practices and provide you with a few tips you can implement in your own home. …is ultimately a great resource because of its properties. It’s completely natural and can grow to great heights. It’s strong, provides oxygen, heat and even shelter. Without it we might not exist. It is no surprise then that this material when placed correctly within your place of rest is intended to attract positive energy into your life concerning health, family, and wealth – the key components required to give us life. Wood is one of the five elements of Feng Shui (wood, fire, metal, earth, water) taken into consideration when designing a bedroom interior to these practices. To introduce different types of energies into your life you are theoretically required to draw a floor plan of your bedroom and divide it into nine areas. 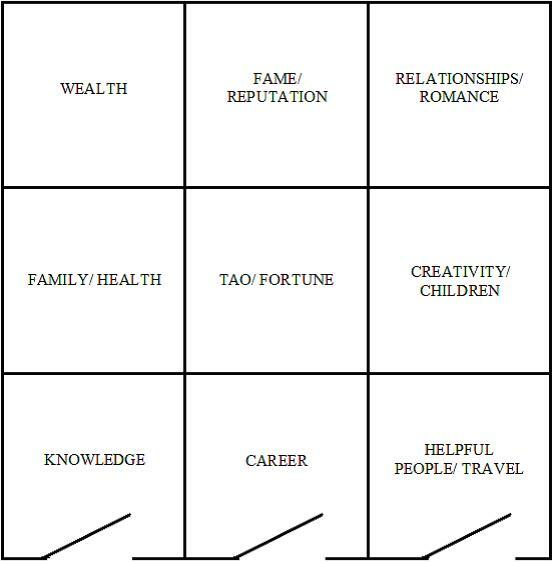 These form the parts of a “Bagua Map” which identifies the different life scenarios/ energies that contribute to your good fortune. The doorways at the bottom of the map identify the three possible places your bedroom door could be placed. From the door onwards the room should be divided into areas as show above. Therefore, wooden beds would fit perfectly in the top left/middle area of the room to attract the identified energy types into your life. Any wooden objects placed in this area regularly must theoretically be either green, purple or golden/wood coloured to match the natural material’s physical characteristics. Rather than scatter plenty of wooden items around the health and wealth area it is advisable to house a lovely piece of wooden furniture in this space, such as an oak-framed bed or pine wardrobes. 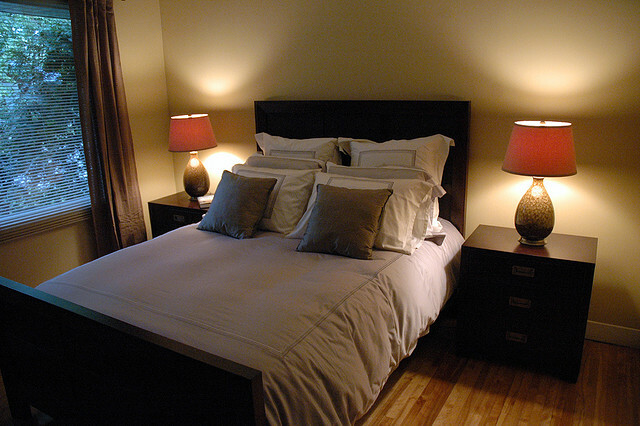 After all, the bed is considered as the focal point of the room that attracts the most energy. Choosing to go with a natural wood colour is best to attract those positive energies relating to family, health and wealth but a painted bed with the relative colours identified above is just as acceptable for the same effect. Hopefully this short article has given you some food for thought in terms of new avenues for interior design inspiration. Pay close attention to the tables above as they relate to one another and provide examples of other objects that can attract different energies into your bedroom too. This article was written by Tony Richards who blogs frequently about Interior Design and Furniture at Frances Hunt.